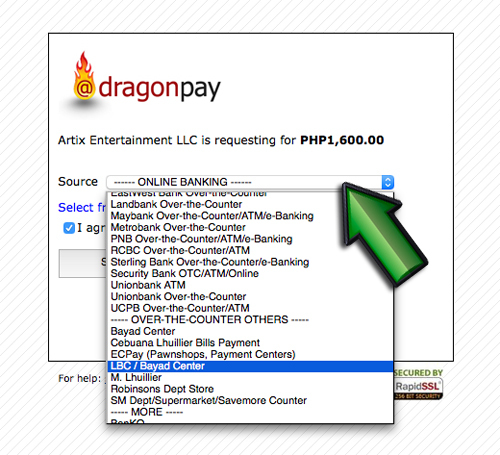 Do you live in the Philippines and want to purchase Artix Points to spend on SoulGems? Now you can with DragonPay! 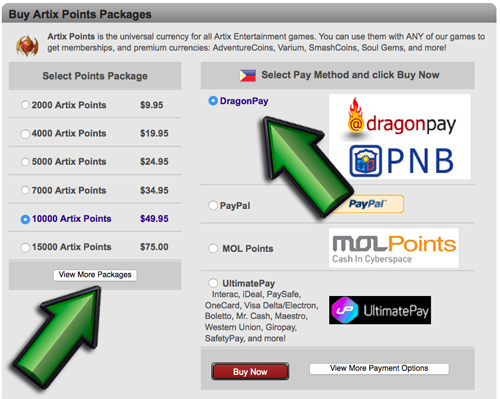 DragonPay makes it easy to purchase your Artix Points upgrades! 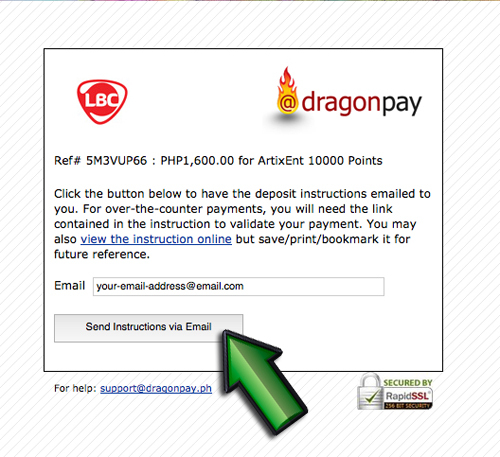 Select “DragonPay” as Pay Method, and then click "Buy Now"
CEBP, LBC, MLH, and SMR are our most popular! SUCCESS! Now you can upgrade in your favorite Artix games with Artix Points! For more information on DragonPay, please visit the DragonPay site. For help with a DragonPay payment, you can call or email DragonPay on their DragonPay About Us Page. They also offer live chat support, too!